The historical significance of the Battle of Marathon cannot be overstated, with this pivotal encounter setting the stage for the Greco-Persian wars that continued for over five decades, circa 5th century BC. 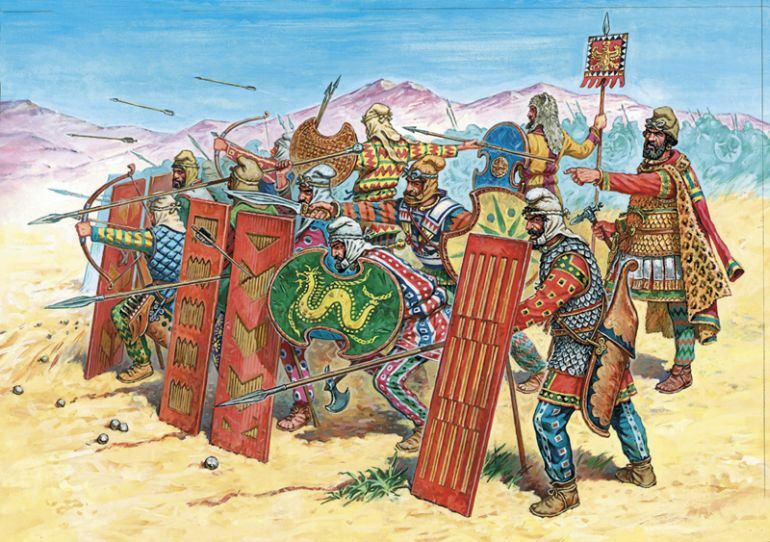 In many ways, the engagement set an example of how tactical surprises could undermine the greatest of armies; and as such proved that the ‘underdog’ Greeks could defend against the sole superpower of the time – the mighty Achaemenid Empire. 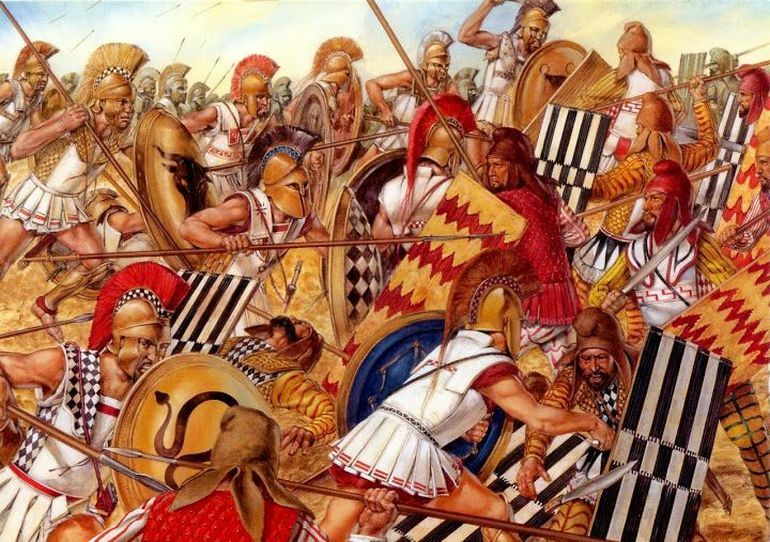 Interestingly enough, this major battle was also one of the rare combat scenarios of the period in mainland Greece that didn’t actually involve the warlike Spartans. Considering all these fascinating factors, let us take a gander at 14 facts you should know about the Battle of Marathon. Before delving into the narrative of the Battle of Marathon itself, we should understand the motives of the ancient Persians concerning their ambitious action all the way in mainland Greece. Well in short, as opposed to our popular notions of Sparta, Athens and Corinth being the all-powerful city-states of ancient Greece (circa early 5th century BC), it was actually the Ionian Greeks settled on the western coast of Anatolia (modern-day Turkey) who flexed their commercial might in the region. 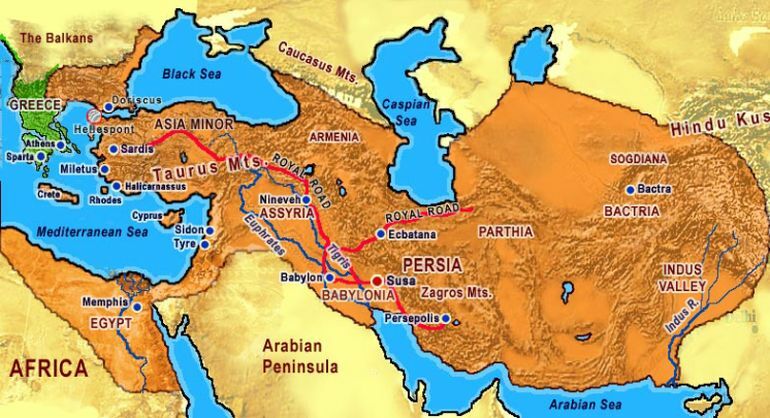 However, in spite of their legacy as independent entities, many of these city-states, like Miletus, fell under the sway of the Persian Achaemenid Empire by 540 BC. Suffice it to say, after years of fermenting political tension, finally, the Ionian Revolt broke in 499 BC, and thus the Ionian rebels were pitted against the contemporary superpower of the world. As a result, the Ionian Greeks called upon their mainland brethren for military aid, and quite surprisingly the city-states of Athens and Eretria heeded their call; with the former partly fueled by the desire to flaunt its rising political status in the region. These supporting forces even managed to infiltrate Sardis, the satrapal capital of the Persians in Anatolia – and in the ensuing clash, the city was devastated by fire. But unfortunately for both of these mainland cities, their ‘expeditionary’ forces suffered a crushing defeat at the hands of the Persian cavalry at the Battle of Ephesus. And soon afterward, Athens broke alliance with the Ionian rebels and withdrew from the shores of Asia Minor, possibly in hope of ameliorating their fractured relation with Persia. But according to Herodotus, after learning of the burning of Sardis, the Persian emperor Darius swore vengeance on the Athenians, and anecdotally even asked a servant to remind him three times each day of his vow: “Master, remember the Athenians”. And this sequence of events set the stage for the first Persian invasion of mainland Greece, circa 492 BC. Now if we go back to the previous century, Persia was already on the precipice of making its foray into the Greek lands after their epic (yet ultimately failed) campaign against the elusive Scythians. In 508 BC, Athens itself was at loggerheads with Sparta, so much so that a bunch of Athenian envoys sought an alliance with Artaphernes, Darius’ brother who held the title of satrap in Sardis. In return, the Persian governor simply asked for ‘earth and water’. The scope of these symbolic gifts was not really comprehended by the Athenian diplomats at the time, and consequently, they obliged to the seemingly abstruse demands. However in 505 BC, when the Persians backed Hippias (the previous dictator of Athens who was forcibly overthrown in 510 BC) to once again take up the mantle of Athenian leadership, the Athenians bluntly refused – and in essence, this Persian ‘insult’ gave them some pretext to aid the Ionian rebels. However, while the Ionian Revolt continued even after Athens snatched away its support for the endeavor, the insurrection was finally crushed by the Persian Empire after a decisive naval victory at Lade in 494 BC (complemented by a string of land victories in the previous years). This led to the destruction of Miletus and Chios, two of the leading Ionian Greek city-states of the period. The Persian followed up on their aggression by subduing the islands of Lesbos and Tenedos and even planned a full-fledged invasion of Macedon (that was later called off due to the loss of the fleet in a storm). Meanwhile, Darius roused by his recent victories, send his heralds and messengers to the mainland Greek city-states with their favorite demands of ‘earth and water’. Most of the cities and the island entities submitted to the Persian will. But the Athenians, according to Herodotus, defiantly shoved the envoys down into a chasm. The Spartans followed suit by throwing the messengers down a well ‘to collect their earth and water’. Thus the figurative battle lines were drawn, and Darius prepared for the first full-scale invasion of Greece. The Athenian army went through a sort of reform, circa 507 BC. 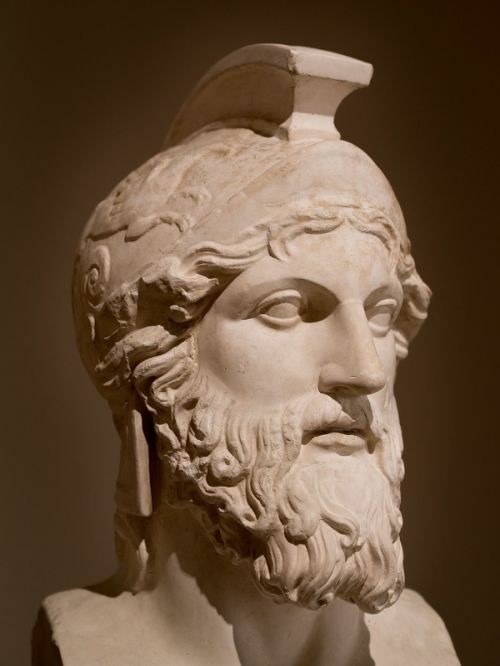 While previously, under the rule of tyrants, Athens drew its hoplite citizen soldiers from three regions of Attica – the ‘Inland’, ‘Town’ and ‘Shore’; Cleisthenes, the man responsible for cementing the democratic system of the city-state, broke the regions up into thirty trittyes (‘thirds’). The army in itself was reorganized into ten tribal regiments, each named after a famous hero sanctioned by the Delphic priestess. So in simpler terms, a single ‘tribe’ theoretically constituted three trittyes from where they picked their soldiers. The company (or lochos) conscripted from each trittys had around 300 hoplites, commanded by the lochagos, thus equating to 900 soldiers for each tribe. 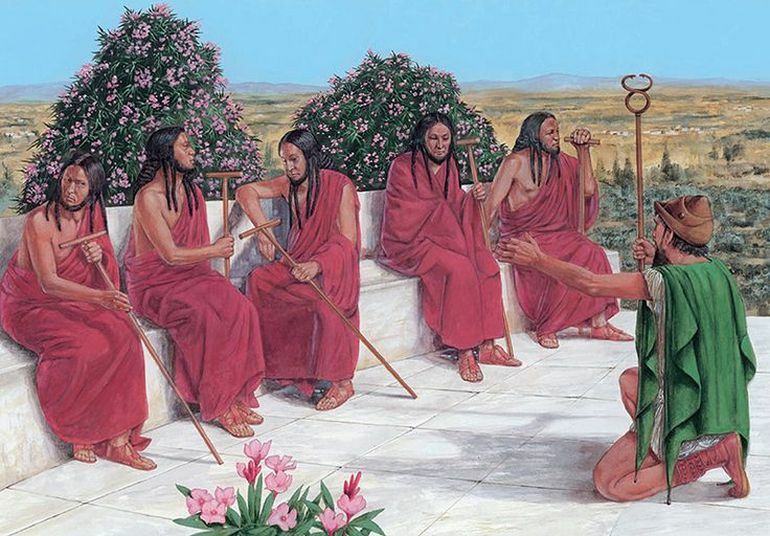 These tribes were commanded by their individual strategos (general), and so the entire Athenian force had ten generals. These ‘board’ of strategoi , in turn, were nominally under the command of a polemarchos (at least till 487 BC). Of course in realistic circumstances, instead of opting for such a complex command structure, the overall charge of the army was often taken by a single strategos – who was appointed in this honorable position by the collective decision of his peers. Now it should be noted that Greek hoplites, as a class of warriors, was not really separate from the citizens themselves. In essence, a hoplite was a citizen-soldier who took up arms to defend or expand the realm of his city-state. And as a general rule, most free adult males of Athens were expected to perform military service (even outside the borders of Attica) until the age of 50. Cleisthenes’ reforms further expanded upon the military system by endowing citizenship to foreigners residing inside the borders of Attica and also freeing many of the slaves. In essence, such measures were put forth to strengthen the Athenian army by increasing the number of potential recruits. The earlier entry naturally brings up the question – how many Greeks were present at the Battle of Marathon? Well taking the mathematical route, if we presume that Athens brought forth its ten tribal regiments to the field, then the total number comes at 900 x 10 = 9,000. But of course, beyond just rigid figures, there is practicality to consider. For example, the numbers might have been affected by the ratio of the citizens who were too old for service and the younger hoplites who were pressed into service. In any case, according to Pausanias, a 2nd century AD Greek traveler (and geographer), the Athenians did bring forth around 9,000 men – and the figure probably also included the ‘old and the slaves’. Furthermore, as was the case with the Battle of Thermopylae ten years later, our popular notions tend to disregard the allied soldiers who were present in the battlefield supporting the main force. 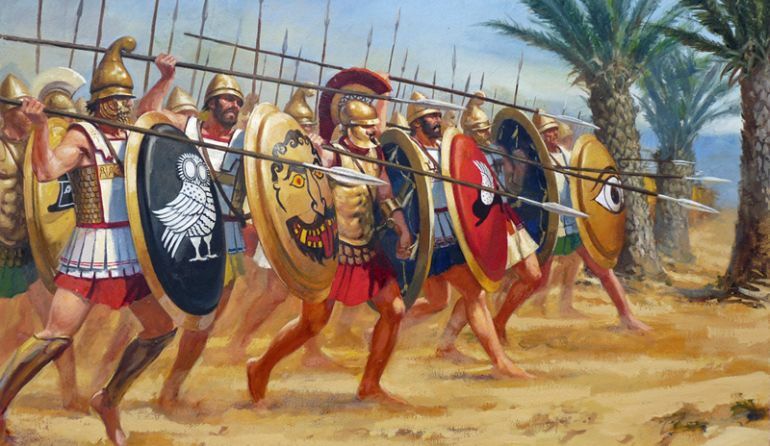 To that end, according to Herodotus, the Athenians were also accompanied by the full levy of the Plataeans, and their numbers possibly came around to 1,000 hoplites (thus bringing the total number of Greeks present at the Battle of Marathon at around 10,000 – 11,000 men). These citizen-militia hailed from the relatively small city of Plataea situated just outside the borders of Attica and were yet allied to Athens to counter the power of Thebes, the leading Boeotian city-state of the time. While the Greek numbers are relatively easy to discern, the opposite holds true for their Persian adversaries, especially since the Battle of Marathon was depicted as a semi-legendary ‘miraculous’ event by its victors in the succeeding centuries. In that regard, many of the ancient Greco-Roman sources tend to wildly exaggerate the numbers of Persian troops present on the field, with ostentatious figures ranging from 90,000 to 600,000. But once again taking unbiased practicality into consideration, Greek sources (including Herodotus) also mention how most of the Persian invasion fleets typically comprised 600 triremes. From the logistical and spatial perspectives, each of these triremes could carry around 200 men, with a vast majority of them being rowers. Again reverting to the mathematical scope, if we do presume that the Persians came forth in 600 triremes, the total number of men couldn’t have exceeded 120,000. 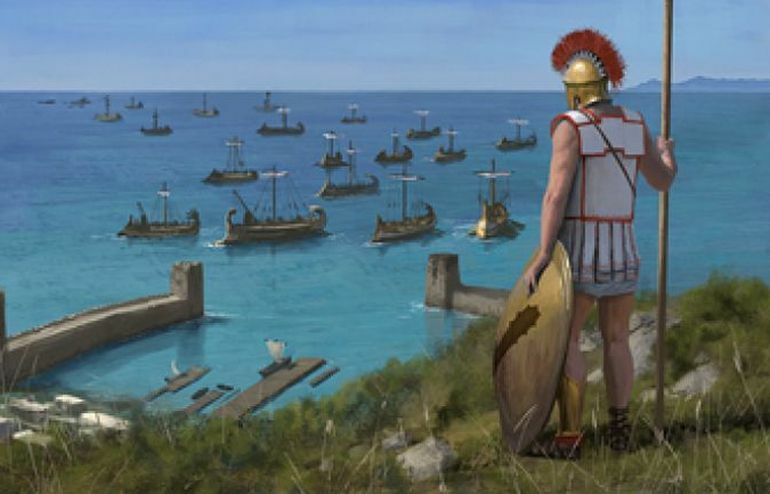 Now interestingly enough, at the aforementioned Battle of Lade, there might have been cases where specially-designed transport triremes could carry around 40 soldiers (in addition to 160 rowers) in each of them, which is ten more than the capacity of the conventional triremes of the period. 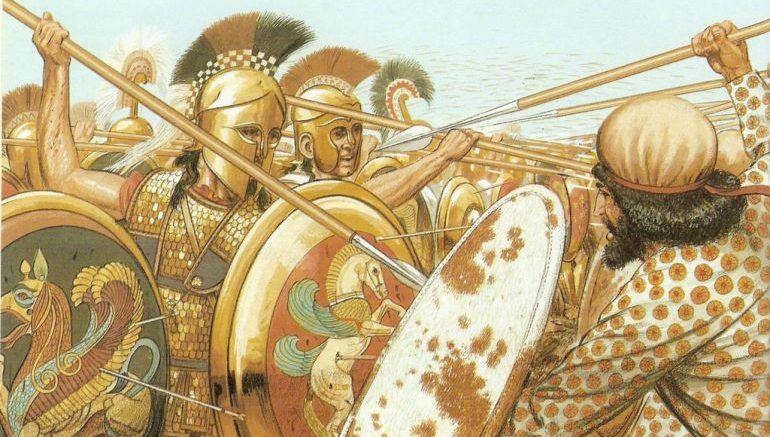 So once again considering the scope of a 600-triremes fleet, we can arrive at a figure of around 18,000 to 24,000 Persian ‘fighting’ troops being fielded at the Battle of Marathon (modern estimates tend to put this figure at around 25,000 troops). These committed soldiers, comprising both archers and shielded spearmen, were obviously supplemented by throngs of oarsmen, baggage carriers, and camp followers – though the latter probably didn’t play any role in the actual battle. And while this invasion force may seem paltry, especially when compared to the Battle of Thermopylae, it should be noted that there were possibly elite divisions (or hazarabam, hazara denoting thousand) of both Persian and Sakai infantrymen in the center of their battle line. They were further accompanied by dedicated Persian archers, who carried composite bows that were rather large by contemporary standards. According to Xenophon, the Persian archers even out-ranged the Cretans, who were considered as specialists in archery from the Greek domain. And beyond just the bow itself, much of the improved shooting probably had to do with the better archery techniques and the lighter arrows preferred by the Persians. Philippides pleading with the Spartan ephors, to join the Battle of Marathon. Illustration by Richard Hook. After subjugating and traversing much of the Cyclades (the group of Greek islands in the Aegean Sea), the ponderous Persian fleet sailed to Eretria, one of the mainland cities that provided ‘aid’ to the Ionians in their revolt. According to most ancient accounts, fighting lasted for over six days and the Persians (under the command of Datis) ultimately emerged victorious in the hard-won engagement. Herodotus talked about the how the victors torched the city and enslaved many of the inhabitants, in retaliation for Sardis. And thus the path was clear for the famous landing at Marathon, in Attica – the home base of Athens. Upon hearing the news of the mighty Persians landing in Attica, debates surged amid the high command of the Athenian citizen force on how to deal with the pivotal threat. Meanwhile, a herald (or hemerodrome, translated to ‘day-runner’) named Philippides (or Pheidippides) was dispatched to Sparta, to deliver the urgent Athenian request for military aid. It should be noted that distance between Athens and Sparta was around 150 miles, and Philippides the ‘day-runner’ covered that substantial route in two days (according to Herodotus). 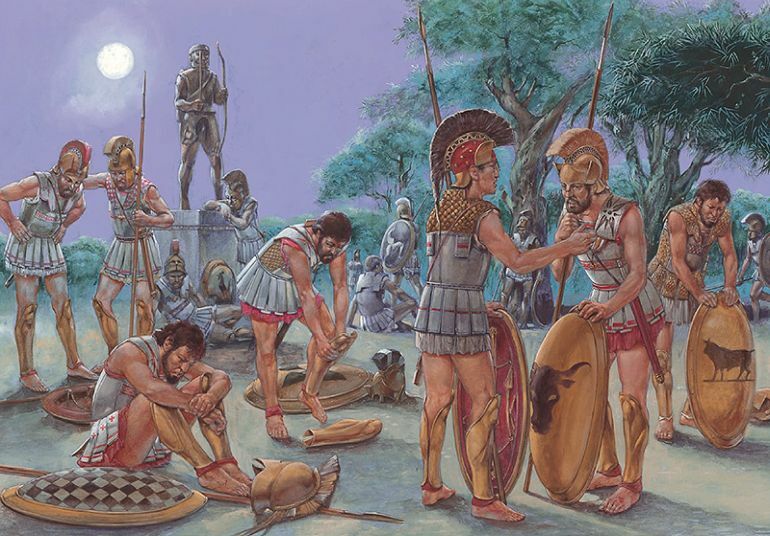 Unfortunately for the Athenian herald, his heroic feat came to naught at the time, with Spartan ephors reminding him of the forthcoming Karneios festival that apparently prohibited their warriors from taking part in military engagements. Simply put, the Spartans made it clear that the Athenians had to wait for six more days for their aid after the full moon was up on the 15th of their lunar month. Plato, on the other hand, gave more convincing reasons for the Spartan delay, one among which pertains to how the Spartans were probably embroiled in a war of their own with the Messenian revolt. In any case, even if Philippides’ mission to Sparta was a momentary failure (considering the urgent circumstances), his heroic achievement of running between the cities was forever etched in the annals of history – as can be discerned from the ancient inspiration behind the modern marathon race. Interestingly enough, classical authors also talked about how Philippides met the god Pan on his way back to Athens (or on his way to Sparta – according to Herodotus), which might have alluded to the hallucinatory effect of exhaustion and failure on the runner. However, Diyllus (4th century BC Athenian chronicler) mentioned that Philippides was ultimately paid a handsome sum of ten talents for his doughty efforts, upon his return to Athens. The Athenian army decided to march to Marathon, possibly after the return (and failed mission) of Philippides. However according to Herodotus, on arriving at Marathon (and probably camped within the sanctuary of Heracles or Herakleion at the site), debates started once again regarding the course of their action. Now it should be noted that according to some historians, this sequence of events and debates probably happened before the army left for Marathon (as practicality suggests), and so Herodotus may have misplaced his narrative. In any case, there is no doubt about the confusion and unwillingness to take part in the battle promulgated by some segments of the army, considering the unparalleled power of the Persians at the time and their enviable track record against the Greeks in open-land battles (translating to victories in four clashes out of five that took place during the preceding Ionian revolt). With you it rests, Callimachus [Kallimachos], either to bring Athens to slavery, or, by securing her freedom, to be remembered by all future generations. For never since the time that the Athenians became a people were they in so great a danger as now. If they bow their necks beneath the yoke of the Persians, the woes which they will have to suffer…are already determined. If, on the other hand, they fight and overcome, Athens may rise to be the very first city in Greece. We generals are ten in number, and our votes are divided: half of us wish to engage, half to avoid a combat. Now, if we do not fight, I look to see a great disturbance at Athens which will shake men’s resolutions, and then I fear they will submit themselves. But, if we fight the battle before any unsoundness shows itself among our citizens,…we are well able to overcome the enemy. On you therefore we depend in this matter, which lies wholly in your own power. You have only to add your vote to my side and your country will be free – and not free only, but the first state in Greece. Or, if you prefer to give your vote to them who would decline the combat, then the reverse will follow. Suffice it to say, Kallimachos (who was also a champion in the Panathenaic games of 490 BC) went to use his deciding vote in favor of the Battle of Marathon, and the rest as they say – ‘is history’. According to Diodorus, encouraged by his polemarchos, Miltiades personally delivered the ‘combative’ Greek message to the Persian envoy. 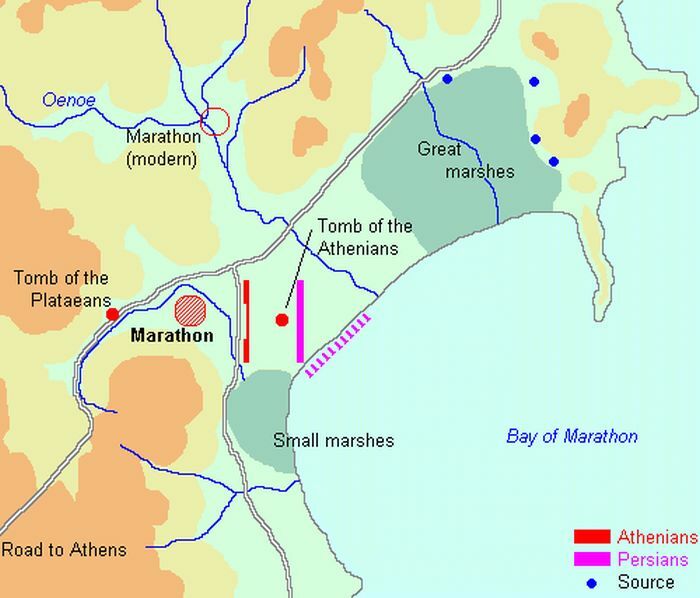 Quite interestingly, by various estimations we can hypothesize that the actual Battle of Marathon occurred on 17th of the lunar month (possibly corresponding to 11th or 12th September in Gregorian calendar) – considering that the Spartans reached the battlefield one day late (by assuming they started on 15th and took three days to reach Marathon based on the distance). However, the Athenians themselves might have reached the Bay of Marathon by the 11th day of the month. Simply put, in spite of arriving at the battlefield early, their army waited for 5-6 days before a full engagement with the enemy. Now from the Greek perspective, this does make sense since they had every reason to delay the battle in hope of receiving the Spartan reinforcements in time. However the Persian strategy to accommodate such ‘loitering’ tactics (for over 5 days), instead of striking first, still remains perplexing. One of the potential scenarios may have pertained to the Persian commander Datis’ dilemma – should he invest his entire invasion force (including the supplementary camp followers and lightly armed oarsmen) in dealing with the Athenians at Marathon before the arrival of the Spartans or should he take advantage of his massive numerical superiority to also attack the undefended city of Athens itself? Datis possibly opted for the second scenario and split up his force, with many of his core infantry and archers staying back at Marathon (total numbering around 25,000 – as we mentioned before in the article), while the cavalry and remaining ‘low-quality’ infantry (possibly numbering over 50,000, including the 10,000 cavalry) started to re-embark on the ships anchored at the beach. These troops were perhaps kept as reserves for the invasion of Athens itself, via the Bay of Phaleron. However, it should be noted that these ‘scenarios’ are hypotheses at best, with Herodotus making no mention of such tactical deployments and Roman biographer Nepos only implying such a split. Choris Hippeis (the cavalry left)…the Ionians climbed the trees and gave the Athenians the signal that the cavalry had left. And when Miltiades realized that, he attacked and thus won. From there comes the above-mentioned quote, which is used when someone breaks ranks before battle. In essence, the unexpected signal from the enemy camp might have bolstered the morale of the Greek hoplite forces who were traditionally ill-equipped to deal with the mobile Persian cavalry arm. And Miltiades taking control of the favorable situation, gave his command to aggressively form up the battle lines. 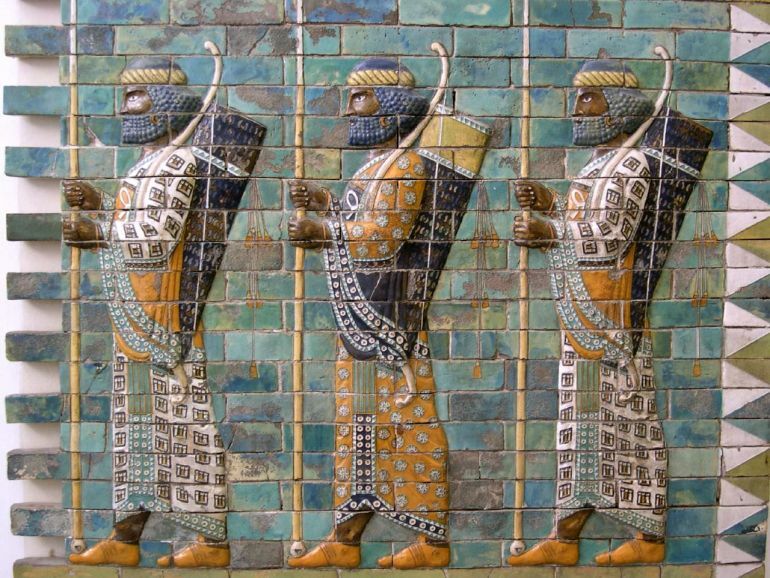 But at the same time, there is also a theory that the Persians were the ones who took to their respective formations before the Greeks did. And the Greeks on perceiving the movement of the enemy opted for a reactive counter-aggressive maneuver on the battlefield of Marathon. Greek charge at the Battle of Marathon. Illustration by Richard Hook. As we mentioned earlier, the famous Greek hoplite charge at the Battle of Marathon only happened after both the armies had presumably formed their lines. Furthermore, there are theories that talk about how both these battle lines were formed at an angle to the coast, as opposed to the popular notion of the Persians with their backs to the sea (in a parallel manner). In any case, according to Herodotus, the initial distance between the armies measured eight stades (each stade roughly comes to around 600 ft), which is equivalent to 4,800 ft (or 1.5 km). Now considering the Persians had archers at their disposal, the ‘running’ tactic of the Greek does make sense because that would have allowed them to close the gap much effectively than a steady advance riddled by enemy projectiles. Intriguingly enough, an ancient Greek foot race known as hoplitodromos made its debut at Olympia in 520 BC. In the event, the participants had to dress in their partial Greek hoplite panoply, including the weighty helmets, greaves and light shields; and then were required to run over a distance of 350-400 m (around 1,300 ft) that covered a single lap of the stadium (or two stades). So in a way, such athletic endeavors might have already prepped many of the Greek hoplites to rapidly close the distance at the crucial stage before the armies clashed at the Battle of Marathon. But as we mentioned here, the initial distance between the armies was 4,800 ft, and the first 3,800 ft – 4,000 ft of the ground was probably covered by the Greeks at a steady pace. It was only in the last 1,000 ft stretch, which more or less translated to the widest range of an ancient Persian composite bow, that the Greek began their run towards the enemy. In this epic charging maneuver, the last 500 ft stretch might have been the most difficult for the Greeks, with the Persian arrows possibly flying in their midst with more potent pace and accuracy (because of their effective range). Once again, popular notions suggest that the Greeks were able to heroically charge the enemy and rout them from the battlefield. But the reality is far more complicated than what the military hyperbole suggests. To that end, it must be assumed that while the charging tactic might have surprised the Persians, the Greeks themselves probably lost their formations and part of the fortitude after closing in with the enemy. One of the simpler reasons behind this theory relates to how traditional hoplite warfare was based on holding one’s ground (and morale) – as opposed to dynamic charging over a substantial distance. To that end, Herodotus did mention that the Battle of Marathon took place over a long time, with neither side giving way after the initial charge. In fact, after many of the spears were shattered and swords were drawn, the Persian center actually managed to successfully push back (and possibly even broke) their corresponding Greek line. This might have occurred due to the placement of the elite Persian spearmen (possibly the Immortals) and Sakai infantry in the middle who faced off against the relatively weaker Greek center. It should also be noted that the Greeks, in a bid to present a similar frontage to that of their enemies, were only around 4 men deep, while the Persians with their numerical superiority were possibly 10 men deep in their formations. However, while the Persians were dominating the center of the battlefield at Marathon, the Greek wings, comprising the Athenians at one end and the Plataeans at the other, managed to rout their counterparts. Once again, almost in a reverse arrangement to that of their foe, the Persian flanks were comparatively weaker – staffed by archers and pavise-bearers who had to unfavorably participate in protracted melee combat. Now some scholars are of the opinion that it was actually the Plataeans who first broke the lines of the Persians at the right flank since this was the point where a trophy of weapons was arranged after the battle. In any case, the entire Persian line finally shattered after being pressurized at their flanks and rear (by the converging Greek wings), and subsequently many of their fleeing soldiers fell victim to the unfamiliarity of the local landscape – by drowning in the proximate lake and the marshes. A larger part of the group obviously struggled their way to the Persian ships that were kept on ‘standby’, but the Greeks continued to belligerently pursue them till the coast. Consequently, a second battle-of-sorts almost broke out on the beach, with the Greeks boisterously cutting down many of the retreating Persians as they tried to board their way to safety. By this time, most of the Persian ships were already beginning to leave the shore, while the few remaining ones bore the brunt of the spectacular Greek advance. It is said that some of ‘zealous’ hoplites even managed to capture around seven enemy ships by simply scrambling on to their decks. In essence, this symbolically heralded the end of the Battle of Marathon, and the Greeks undoubtedly emerged victorious from the epic engagement. The utterly exhausted Athenian hoplites at the sanctuary near Athens. Illustration by Richard Hook. But the victory didn’t come at an easy cost. Kallimachos, the polemarchos of the Athenian citizen army and the man who gave the deciding vote to challenge the Persians, died, with Plutarch describing how his corpse still stood upright as it was pierced by a plethora of spears. One of the strategoi Stesileos also met his demise in the hard-won encounter. To that end, in terms of casualties at the Battle of Marathon, Herodotus does mention how the Greeks lost only 203 men (192 Athenians and 11 Plataeans), while the Persians lost more than 6,400 troops. However if assessed from an unbiased perspective, both the figures have probably been exaggerated in their own manner. 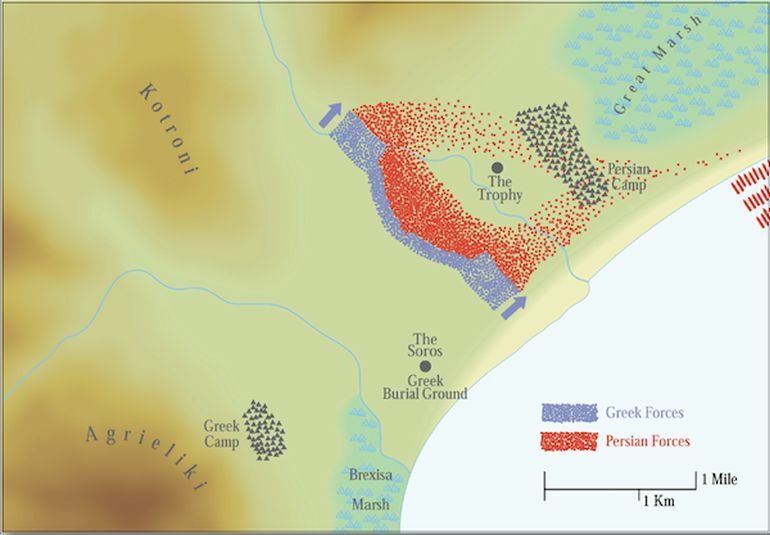 Considering the scale of the Battle of Marathon and the initial phase when the Athenians were being pushed hard, modern estimates suggest that the Greeks lost over a thousand men, while their adversaries lost around 4,000 to 5,000 men. And even beyond the implication of these figures, an old adage goes – ‘the battle might have been lost, but not the war’. So while the Persians retreated from Marathon, their commander Datis probably still coveted the ‘bigger prize’ – Athens itself, left in a precarious position with most of its infantry-based army stranded and exhausted around 25 miles away from the city. On the other hand, the Persian reserve forces, with most of their intact cavalry, were still ‘fresh’ after embarking on the ships. The sea route from Marathon to Phaleron measuring around 62 miles, could have been covered by the contemporary transport triremes in a day or two (possibly), if deployed in an effective manner. Reverting to a practical scope, we must understand that the majority of the Athenian army must have been gasping and frazzled after their exhilarating charge and the relatively long battle at Marathon. And it was at this wearied (though joyous) moment that it dawned on them that the Persians were making a run for their capital on their ships. In essence, the sheer shock of the situation possibly had a deep psychological impact on these already physically exhausted soldiers. Nevertheless, it is said that Miltiades snapped them out of their rejoicing mode, and the tired army once again force-marched back to defend their home-city by the evening of that day itself. This ‘race against time’ must have been successful, since the Persian fleet, while anchoring at Phaleron, ultimately decided to sail back to Asia. Interestingly enough, according to many historians, it was a man named Eukles who was possibly tasked to deliver the victory message to Athens; and he arrived in the city before the main army. Romanticized accounts talk about how he ran in full-armor and died (from exhaustion) after declaring ‘Hail! We are victorious’ – and this feat is often confused with the Spartan mission of Philippides (according to Lucian’s version, it was Philippides who delivered the victory message and then died), thus resulting in unclear influences for the modern-day marathon race. Considering the slew of perplexing views, a hypothesis can certainly be drawn that the entire messenger episode was possibly an embellished figment of various anecdotes. 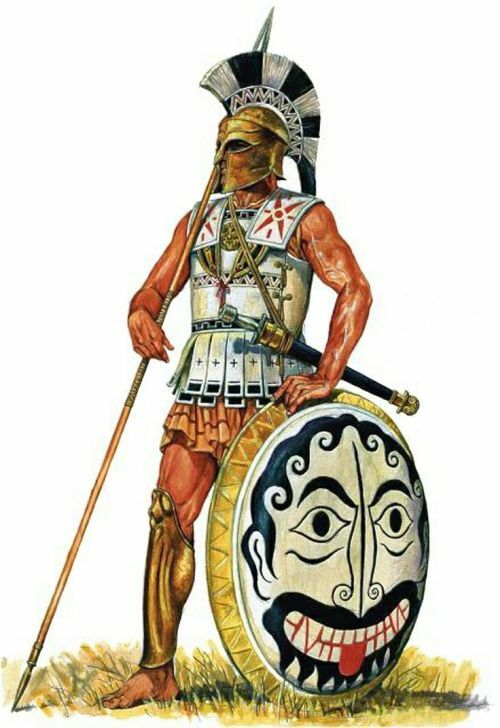 Greek hoplite. Illustration by Marek Szyszko. With all the talk about exhaustion and tiring efforts, there may have been ancient accounts that portray what can be described as psychosomatic episodes experienced by the soldiers at the Battle of Marathon. 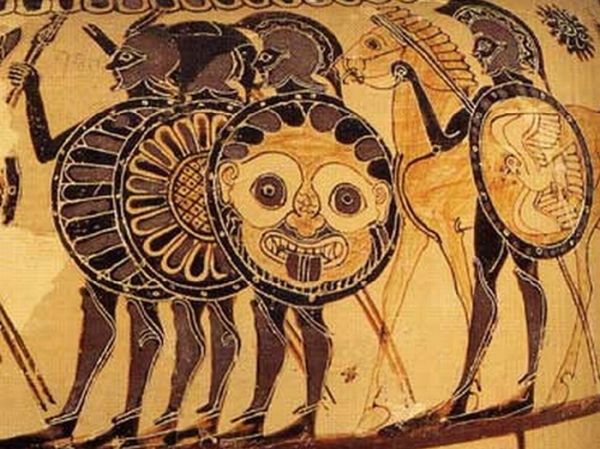 For example, Herodotus talked about one Epizelos who was supposedly struck blind during the heat of the encounter, and yet he ‘saw’ a hoplite whose beard covered his entire shield. The ‘hairy’ personality passed by him but killed his adjacent compatriot. Pausanias, on the other hand, mentioned a Greek-friendly apparition, dressed in rustic clothes who went on a Persian killing-spree with his scythe (later worshiped as the hero Echetlaios, on the directions of the oracle at Delphi). And as if humans were not enough, one Athenian hoplite even claimed to see his trusty dog by his side while fighting at the Battle of Marathon.